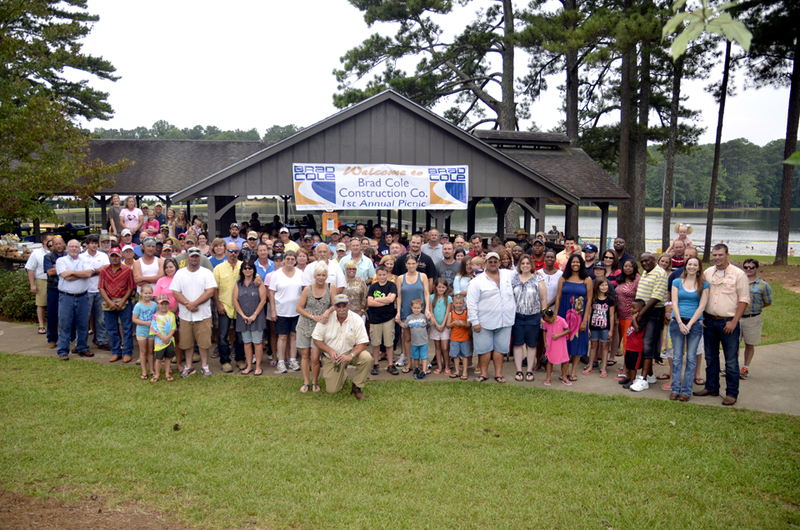 Brad Cole Construction hosted their first annual Company Family Picnic on July 27, 2013 at John Tanner County Park. Over 250 people attended, including employees and their families. Brad K. Cole, President and Founder of BCC, said, “This was a special day and a way to say thank you to our employees and their families for their hard work and dedication. 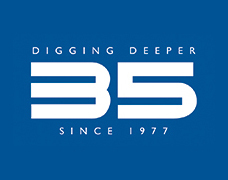 Even though we all work for a paycheck, we want Brad Cole Construction to be a place that you want to work.” The event was also an opportunity to celebrate the company’s 35th anniversary. The highlight of the day was the unveiling of the new corporate identity and logo mark. The new tag line is “Strength to Build On,” which refers to the strength of the company, as well as the quality of work performed by BCC for their clients. Cole remarked that the new look positions BCC for growth and the future. Every attendee at the picnic received a gift of a hat and tote bag showcasing the new identity. At noon, an all-American cookout was had, with hot dogs, hamburgers, and homemade ice cream served up by the BCC management team. The families enjoyed the park’s amenities, including swimming, fishing, and pedal boats. Several lucky attendees won raffle prizes, such as a 42” LED TV, full-sized Weber grill, Yeti cooler, CAT golf bag, and various gift cards.